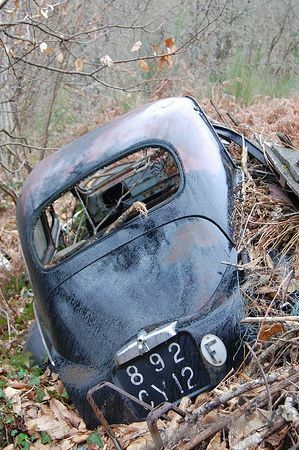 If you have been wondering what to do with the old heap rusting away at the bottom of the garden, you will be happy to know that it is easy, and free to scrap your car. Under Article R 322-9 of the Highway Code, owners of a VHU must dispose of the vehicle via an approved wrecker, (un démolisseur or broyeur agréé) who complies with environmentally friendly processing requirements. Your local prefecture will be able to provide you with a list of approved wreckers. The scrapping service is free, although a charge may be made if the vehicle has to be towed to the breaker’s yard. The SIV (service d’immatriculation des véhicules) will acknowledge receipt and cancel the registration of your vehicle.